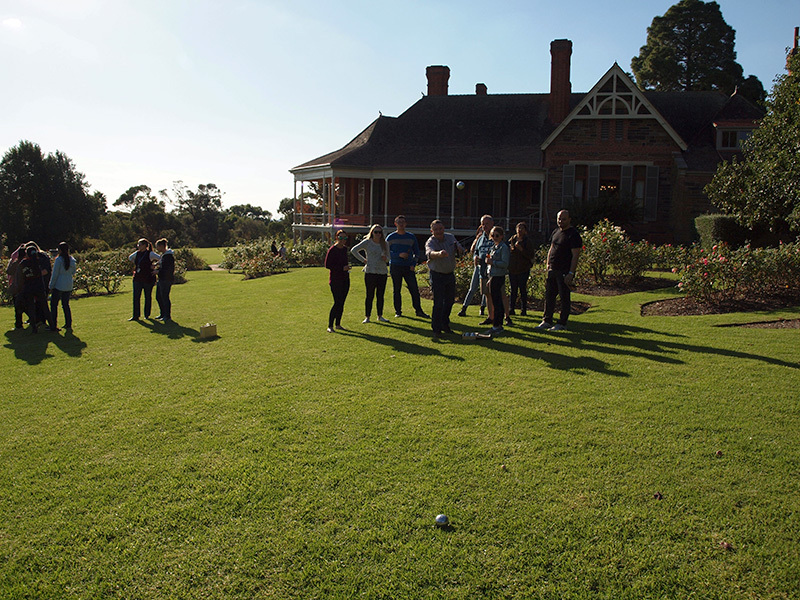 On Friday 12 May, the Waite Research Institute hosted Peter Waite Day in the Urrbrae House gardens. Held each year on the Friday closest to Peter Waite’s Birthday (May 9), the afternoon is an opportunity for people from across the campus organisations to come together over a few drinks and celebrate being part of the Waite community. The hotly contested Bocce tournament this year saw 12 teams fighting it out for the Peter Waite Bocce Trophy. 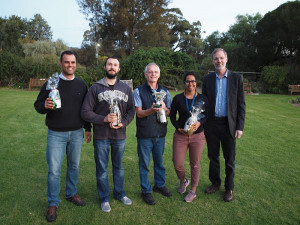 The final was played out in fading light with the Building 20 Bullies unable to overcome the Fertiliser Mafia from the School of AFW Soils group, who successfully defended their title from 2016. The Bocce Chicka Bow Wow team from the AFW School Office, complete with feather boas and long gloves, took home the prize for best team name. Diane Mather and Rob Lewis teamed up to win the Peter Waite Knowledge Trail competition by the narrowest of margins from Gwen Mayo and Stuart Roy. Thanks to everyone who joined in. You now have 12 months to practice your bocce ahead of the tournament next year! The Bocce Chicka Bow Wow team dressed to impress for the occasion! Bocce tournament winners! The Fertiliser Mafia successfully defended their title. 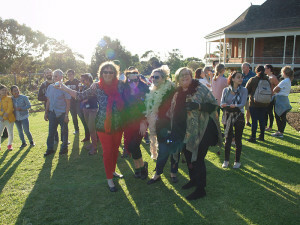 This entry was posted in News, Urrbrae House, Waite Research Institute. Bookmark the permalink.